Spey Basin Mist Spey Valley, Grantown, Scotland. 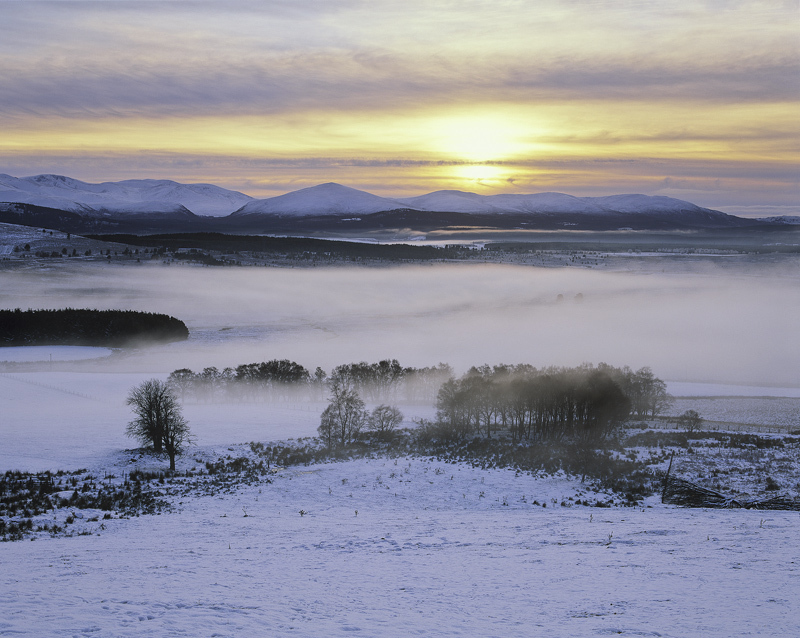 Winter mist collects in the Spey basin as the intense evening cold condenses out the moisture and thereafter develops into freezing fog. I waited for the sun to set and delighted in the purple hues of twilight combining with the honey light which served to backlight the forming bank of mist.